The year is drawing to a close and it’s been an eventful one for Entropi with a packed out gig at Pizza Express (part of the ‘Xantone Blacq Presents’ series), being awarded the Jazz Services Recording Support Grant, recording our debut album at Fish Factory Studios, launching a successful Kickstarter campaign and playing to a full house at LUME for the EFG London Jazz Festival – read our great review HERE. We’re looking forward to an exciting year in 2015 when we release our album on the ‘F-IRE Presents’ label, with album launch planned for June 7th at the Vortex with ‘LUME Presents…’ and plans for an ambitious UK double-bill tour! More on that soon. 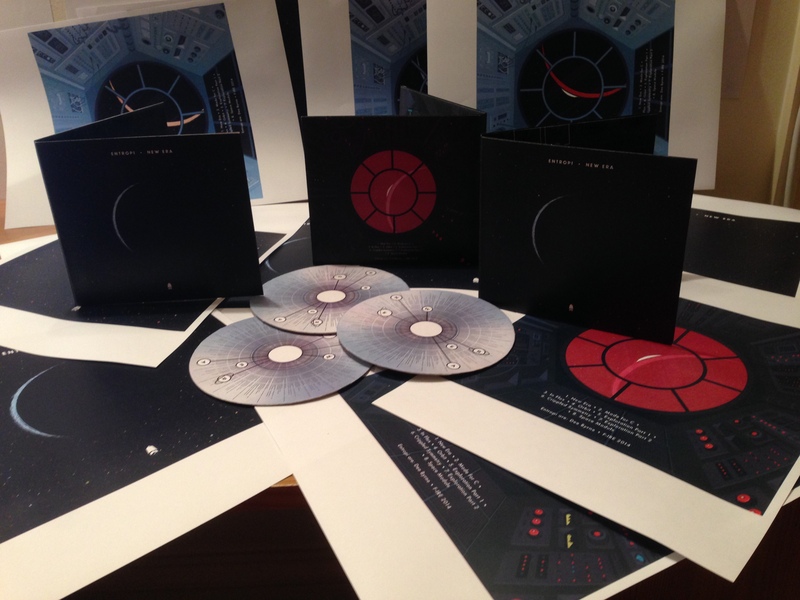 This photo shows mockups of album artwork by Ricky Day. CD goes to press in mid January.